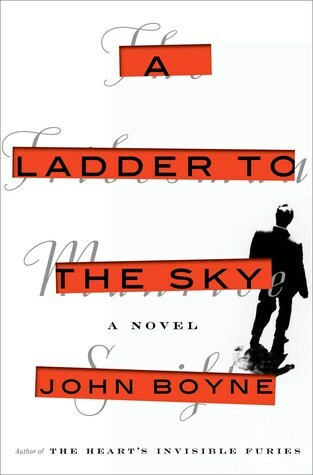 A Ladder to the Sky’ by John Boyne – What Would You Do in Order to Write a Prize-Winning Novel? ‘A Ladder to the Sky’ is a captivating jaunty thriller about wicked literary politics. Our sole resourceful villain is one Maurice Swift, a man of limited talent who will stop at nothing to write a prize-winning literary novel. Yes, the American writer Gore Vidal is a character in this novel. Vidal is the only one who sees through the evil machinations that Maurice Swift uses to get his next novel. We follow Maurice’s career from when he is an aspiring young writer working as a waiter in West Berlin in 1988 up until today. This is a dark, dark story and I won’t spoil it for you with too many details. Can the quest for an outstanding literary career really be this mean and cruel? We tend to view our prestigious authors as magnanimous human beings perched high above us in some literary Valhalla of refined manners and good taste. But what cruelties and misdemeanors did these writers have to perpetrate along the way to get there? Perhaps “misdemeanor” is too feeble a word for what they did. Mostly we see Maurice Swift as others see him. These poor souls are won over by him, and they never see the real Maurice Swift until it is too late. Reading ‘A Ladder to the Sky’ was a very enjoyable experience for me. The story is very well framed and captures entirely what a person with limited talents might have to do in order to become a distinguished prize-winning novelist. The hardest task for the talent-less is coming up with those succeeding novels after that first success. This is a lively fiction, and I guarantee you will have a good time reading it.